It has been recorded that Nigeria has over three hundred (300) languages, and this has made communication very difficult among Nigerians. In order to communicate effectively in a language everybody understands, English is used as a Lingua Franca in the country. A Lingua Franca is a common language among people with different languages for the purpose of easy communication. Nigerians have a positive attitude towards the English Language. Everybody wants to communicate in English, especially in a formal setting, regardless of their incompetence in the language. Most parents encourage their children to speak English as their first language. In fact, in Nigeria, literacy is measured by a person's spoken and written English. When a person speaks or writes English very well, people admire and respect him/her. In an organisation where things are done correctly, one must be proficient in English for one to be employed. For a person to gain admission into any school in Nigeria, he/she must have at least a credit pass (50%) in English. For example, "Use of English," as a subject, is compulsory for anybody writing the Unified Tertiary Matriculation Examination (UTME). Besides, a student who fails English in his/her Senior School Certificate Examinations (SSCE) will have to rewrite that examination; otherwise, he/she will not be admitted into any university in Nigeria. This language policy in Education has made the English Language a towering monument in Nigeria. 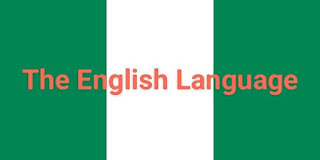 English, amidst Nigeria's indigenous languages, has gained an official status. It is the authorized language of education, media, banking, politics etc. With this, it is the choice language in any formal gathering as the use of any other language is frowned at. English, since time immemorial, has orthography, and unlike Nigeria's indigenous languages, its orthography has been mastered by most Nigerians because it is taught and learnt in schools. As a result, many Nigerians find it very easy writing in English than in their indigenous languages. This has undoubtedly promoted the use of the English Language in Nigeria. Orthography simply means a system of writing in a given language. The aforementioned factors have placed the English Language in a position that will take Nigeria's indigenous languages years to occupy (if it is possible) because the English Language is not "thinking" of "relinquishing" such position any time now.